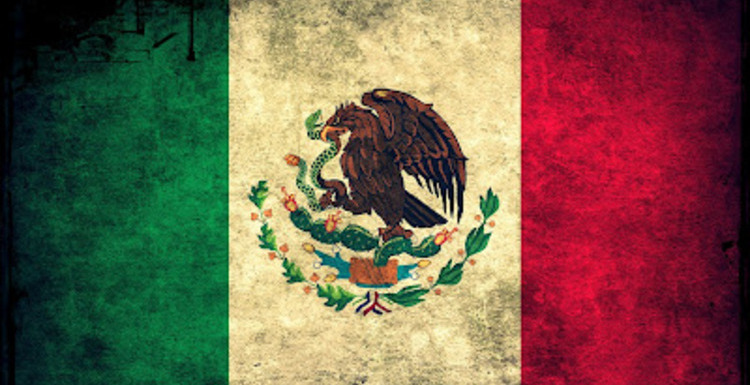 Mexico has a long history of turbulent student protests. Often times, the Mexican government and its officials have reacted violently and oppressively to nonconformists. When considering the Mexican government’s “official” accounts of student demonstrations and of the actions and/or identities of the activists, it makes it seem as though their conduct toward the students is justified. After all, the official accounts of three separate incidents, the Tlatelolco Massacre (1968), the IBERO Protest and the #YoSoy132 movement (2012), and the disappearance of 43 students from the Ayotzinapa Escuela Normal (2014), portray the activists as intolerable law-breakers, hired thugs, and provokers of authority. The problem with the official stories of the student demonstrations however, is their lack of truth. In each of these incidents, the stories given by Mexican officials have been cynical fabrications. However, with the rise of global interconnectivity, through the evolution of both social and mainstream media, the world has become aware of the crimes committed by the government. Additionally, the truth behind these accounts has been exposed thereby calling into question the incomprehensible actions of the government. By observing the aftermath of these three protests, we are able to see a terrifying pattern of government deception. Nevertheless, a hopeful evolution of the public protests is visible through the way that the students and citizens involved have challenged the mainstream media of Mexico as well as its government officials by demanding not only truthful representation and answers, but also broader societal changes. With the opportunity to host the Olympics, 1968 was to be the year that Mexico would demonstrate to the international community that it was no longer a small and backward nation, but had the ability to integrate into the global First World. The Mexican President at the time, Gustavo Díaz Ordaz, proudly remarked that “all the eyes of the world would be on Mexico in 1968 and that he hoped Mexicans would respond to their responsibilities in providing a warm and dignified reception for all visitors.” However, this warm and dignified reception would be a challenge because, while Mexico seemed stable from the outside, it was boiling with impending social change within. The high school and college-age youth of the 1960s, enlightened by their education, represented everything that Gustavo Diaz Ordaz opposed. 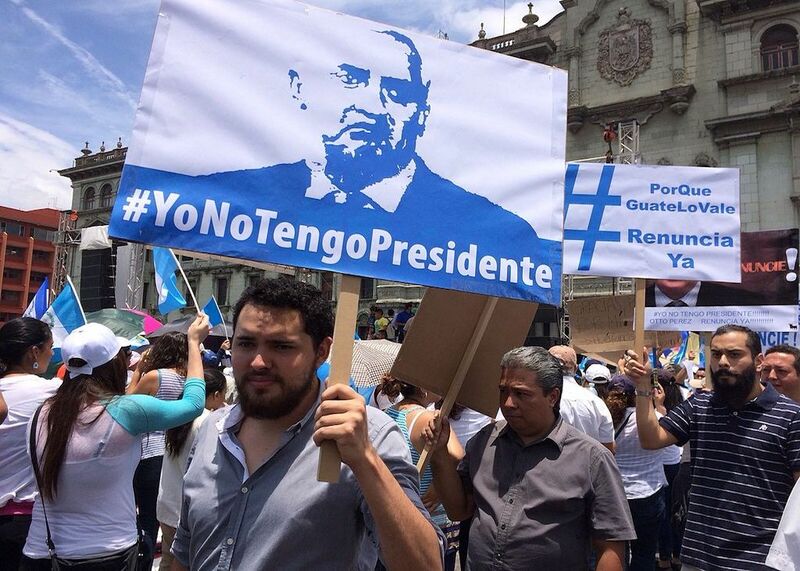 Their protests challenged and “undermined the image that [President Diaz Ordaz] and the [ruling party], the PRI (Partido Revolucionario Institucional) had been cultivating as an effective government for a prosperous Mexico.” While the students rallied for democracy, the president sought to protect his authoritarian rule. Unwilling to compromise on its ideals, the Diaz Ordaz administration and student protesters clashed throughout the summer of 1968. Each student protest received harsh reprimands from the government, the worst of which was the Tlatelolco Massacre. According to the official report, a group of around four or five thousand student Communist agitators gathered in the Plaza de las tres Culturas on October 2, 1968, to spread propaganda against the government despite being warned by President Diaz Ordaz that he would persecute dissenters. The army and the police were deployed to disperse the students, resulting in a skirmish between the students and the security forces. The news reported that students fired, the police and the army responded, and a few people were killed. That was the official history, but the reality was much different. The true purpose of the students’ protest was to demand an end to repression by the state, and also to call for the immediate release of students jailed for earlier protests. During the students’ peaceful demonstration, the Mexican army and police infiltrated the plaza and blocked off all of the exits. Gunshots—initiated by undercover secret servicemen and other government forces posing as students—were fired toward the Mexican army and police in order to provoke a “justified response from the army.” The army reacted by opening fire on the unarmed students, thinking that they had initiated the attack. The fabricated conflict sought to quell the unrest and also to allow Mexico the opportunity to give the warm and dignified reception that Diaz Ordaz expected. The army and police did not cease firing into the crowd until hours after the initial shots, killing anywhere from 200 to 2,000 students (the exact number is still unknown). After the massacre, once all the bodies had been removed, cleanup crews went into the plaza with brooms and buckets of water to sweep away the blood that covered the floor of the plaza, and along with it, they swept away the truth. The proximity of the Tlatelolco massacre to the 1968 Olympic Games played a significant role in the news coverage—or lack thereof—of the tragedy. The grandeur of the Olympic Games was the perfect distraction for the world, and for the vast majority of Mexicans who were unaware of the massacre. There were, however, some Mexicans who refused to remain silent and who continued to protest by turning to non-mainstream newspapers and even street theater to voice their opinions. Still, these protests did not have the intended widespread effect at the time and did not go far beyond Mexico. Mainstream newscasts focused on the Olympics and “omitted demonstrations and…student voices” in order to “downplay social conflicts and limit the voices of popular groups involved” in those conflicts. For example, on the night of the massacre, Mexico City news “aired stories about the Pope, the Baseball World Series and the upcoming Olympic ceremony, but nothing about the massacre”. Closer to midnight, a news story was aired about the killings, but focused primarily on a few injured police officers. The majority of the sources used for that story were officials from the military or government, offering only one side of the story. Overall, the amount of airtime devoted to the Games took up more than half of Mexican news broadcasts. The purpose of this was to ensure that the 1968 Olympic Games be an “opportunity for government officials and television executives to beam the country’s modern and economically successful face into the homes of viewers across the globe.” This was President Diaz Ordaz’s priority as he was relying on the Games to buttress the façade of a country that was stable and ready for its debut on the international stage. Another student protest that took place on May 11, 2012 at the prestigious Iberoamerican University (IBERO) thankfully did not end in the murder of students at the hands of the Mexican state. The underlying cause of the protest at IBERO occurred six years earlier on May 3-4, 2006 in Atenco, State of Mexico. In October of 2001, former Mexican president Vicente Fox announced the construction of a new airport to be built in Texcoco, State of Mexico. While proponents of the project saw it as a great economic and modern advancement for Mexico, the social costs of the project were ignored as close to 5,000 hectares of agricultural land would be expropriated in order to build the airport. In an expression of their rejection of the plan proposed by Fox, and in an act of solidarity with the people of Texcoco, around 500 campesinos (peasant farmers) from Atenco blocked the federal highway of Texcoco-Lenche. During the next five years, campesinos and ejidatarios (communal village land owners) from various parts of the country expressed their dissent. On the morning of May 3, 2006, municipal and federal police forbade eight florists from installing their kiosks in order to sell their products in the Texcoco city plaza, claiming that it was disruptive. With tensions already high, this new infringement on the campesinos’ way of life led the florists, as well as many activists from Atenco to resist the police, a situation which resulted in a violent confrontation. The next day, federal police took control of Atenco because the activists had been branded “the violent people of Atenco” by the chief of staff the federal police, Ardelio Vargas Fosado. While the confrontation was indeed violent on both sides, “it is hard to compare the handful of beatings suffered by the police, to the hundreds hostages that were beaten, jailed, raped, and even killed.” The number of people jailed was never made public, but mainstream media outlets shared similar headlines that vilified the campesinos while glorifying the police. Fast forward to May 11, 2012. Presidential hopeful, Enrique Peña Nieto, walked into IBERO, one of Mexico’s prestigious private universities, to deliver a speech. Upon his arrival, he was jeered at by students holding placards denouncing the events that took place at Atenco, where he had been governor six years earlier. IBERO students shouted at him in anger, calling him a coward for allowing the beatings and killings of the campesinos. At the end of his speech, “he stated the events in Atenco had been a personal decision and legitimate use of force. Also, he stated that those responsible for human rights violations had been brought to justice.” This last claim was false. Upon hearing this, the crowds grew angrier because there had never been justice for those murdered, despite Peña Nieto’s assurance. The crowds then followed him out of the auditorium, live tweeting their classmates to let them know where he was headed. Peña Nieto hid in the restroom until the crowds died down just enough to allow him to leave the campus. That same day, news about the IBERO student protest got out. Jose Carreño a professor at IBERO, who coincidentally had many ties with Peña Nieto’s political party, the PRI, went on television for an interview regarding the protest. In his interview, he said that the protesters were not students from IBERO, but rather hired thugs attempting to start a boycott. The next morning, at least 18 different newspapers all beamed the same exact headline: “Exito de Peña Nieto en la IBERO, pese a intento orquestado de boicot” (“Peña Nieto succeeds at IBERO, despite orchestrated boycott attempt”). The students were furious, and on Saturday morning, the day after the protest, the #YoSoy132 movement began. Three students from IBERO began a Facebook event with the name “Video for the Truth.” In the description, they asked all fellow students who had taken part in the protest to post a video of themselves holding their student ID cards stating that they were indeed IBERO students, not hired thugs, as the media had reported. Videos began to pour in on Facebook, and by the end of Sunday evening 131 usable videos had been received. The compiled video of the students was published as a response to the media on Monday May 14, 2012. Within fifteen minutes of its publication, the video became a national and international Internet sensation. Students across Mexico and abroad, latched onto the message of the 131 IBERO students, and began to symbolically refer to themselves—individually and collectively—as student number 132. The #Yosoy132 movement “leads its efforts towards the democratization of the media in order to ensure transparent information, [and] plural and minimum standards of objectivity to promote awareness and critical thinking.” The most obvious way that its goals have been met –although not fully— is through social media. The movement began and has continued to be run through social media outlets like Facebook and Twitter. Through this, people from all over the world who are part of and in support of the movement, are able to share their ideas and experiences in order to advance the movement’s efforts. The increased interconnectivity of the world and the widespread use of social media in 2012 makes the media coverage of the IBERO Protest and the #YoSoy132 movement vastly different from the coverage of the Tlatlelolco Massacre. Mainstream media outlets in 1968, such as Televisa, did not broadcast taped footage of the attack on the students, and instead had Jacobo Zabludovsky, the network’s anchorman, faithfully convey the government’s version of the story (a version that went widely uncontested). However, the attempt of Televisa, and other mainstream media outlets, to once again change the truth regarding what actually happened at the 2012 IBERO student protest was met with an overwhelming rebuttal and demand for change by those involved in the protest and their supporters. This demand for change through #YoSoy132’s goal of “democratization of media” has been able to influence the media and the political agendas of Mexico, something that was almost impossible in the past. More than anything, this advancement represented hope for the future of student-led change in Mexico. On September 26, 2014, a group of around 100 students from the Ayotzinapa Escuela Normal made their way to Iguala, Guerrero to protest education reforms and to raise money for members of their school to travel to Mexico City for the 46th annual commemoration of the 1968 Tlatelolco Massacre. At around 9:30 p.m., then-mayor of Iguala, José Luis Abarca, ordered the municipal police to arrest the students out of fear that they would disrupt a political event held by his wife, María de los Ángeles Pineda. The police took control of the students’ buses, shot at them, leaving some dead, and handed over 43 of the students to the organized crime group, Gurreros Unidos. While the students are still considered missing, it is widely believed that they have been killed. What happened to the 43 students is largely unknown due to the widespread threats and attacks against journalists ranging from harm to intimidation, hacking and even murder during these first two years of Peña Nieto’s presidency. In 2014 alone, for example, 142 physical attacks and six murders of journalists were documented, which have lead to a sense of fear among journalist when reporting on stories that may reveal the government’s apathy regarding controversial subjects such as organized crime as well as student protests. The Escuelas Normales and their impact on the social and political sphere in Mexico are relevant to the events that took place in Iguala. Escuelas Normales (teaching colleges) were created in the 1930s, born from the idea of giving educational opportunities to the poorest communities within the nation as one of the necessary conditions of human development. The teaching colleges remain as important Mexican institutions that have withstood the test of time, despite being constantly attacked by the government. Their tenacity to survive is part of the reason that communities all over Mexico are in favor of the Escuelas Normales. They show resistance, demonstrate the way that the minority is able to be heard, and have created a “formula” for change. The Normales mean education, change, and a better-informed rural citizenry able to decipher when their rights are in danger. While this is promising to the majority of citizens, corrupt leaders of the past and present have seen and continue to see the Normales as dangerous breeding grounds for radical ideas that can endanger the “stability” of the nation. Because the Ayotzinapa school is well known as a leader in the opposition to recent economic and political reforms led by President Peña Nieto’s government, many people believe that is the reason behind the attacks. In a poor attempt to flout that assumption, Peña Nieto’s immediate response was to insist that the Ayotzinapa case was a matter of state jurisdiction. Further, when Abarca and his wife were discovered as those who ordered the disappearance of the students, he avoided acknowledging a governmental ideological stance against the students by instead demeaning the students and blaming them for their own fate saying that they “always provoke the authorities” However, with such an interconnected world where an unprecedented number of people have access to multiple social media outlets, it has become increasingly more difficult for the Mexican government to hide the truth of its crimes. The search for the 43 missing students has not ceased since the day the disappearance took place, and it is likely that it will continue until Mexicans—and by extension, the rest of the world—get the truth from the Mexican government. In comparison to the Tlatelolco Massacre and the IBERO student protest, the search for the 43 missing students has garnered a tremendous amount of international news coverage and overwhelming solidarity. In contrast to the way that news about Tlatelolco was withheld from the Mexican and global population, and in going a step further than #YoSoy132 in gaining and retaining international recognition, reports about Ayotzinapa are still considered front-page news six months after the event. Solidarity marches, vigils, and protests asking that the case of the missing 43 be solved have taken place around the world. On November 20, 2014, for example, the National Brigade of the 43 Disappeared participated in and inspired more than 200 protests throughout America, Asia, Australia, and Europe. International forensic investigators from Argentina who specialize in mass disappearance cases have also been called upon to help solve the mystery of what happened to the 43, adding to the international involvement and desire to find answers that this case is stimulating. Facebook, Twitter, and Instagram are also playing a part in keeping the struggle for answers and change alive by providing platforms to organize demonstrations. Hashtags such as #SomosTodosAyotzinapa (“We are all Ayotzinapa”) and #YaMeCansé (“I’m tired now), a call to action by drawing attention to the words of Attorney General Jesus Murillo who complained about fatigue during a press conference on the disappearances, have been used to generate support for a change in government. President Peña Nieto has remarked that the #YaMeCansé movement is “accomplishing nothing more than ‘generating instability [and] social disorder,’ which is a reflection of those ‘who do not want the country to grow and want to halt its development.’” But the people’s message to the Mexican government is clear: they want answers and they will no longer be silenced or repressed. 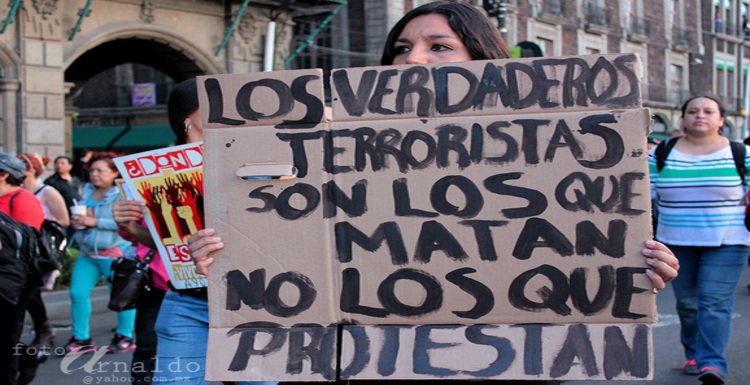 Mexico’s student activists have been victimized by a frightening pattern. In each of the cases examined above, the students involved were reported by the government to be intolerable law-breakers, hired thugs, and provokers of authority, all of which they most clearly were not. The way that protesters are vilified by the Mexican government is egregious, its reasons even more so when we look at its history of repression. But we have seen a promising evolution of Mexico’s student protests by examining the aftermath of the Tlatelolco Massacre, the IBERO Protest/#YoSoy132 movement, and most recently, the disappearance of the 43 students from the Ayotzinapa Escuela Normal. Whereas the news coverage of the Tlatelolco Massacre went widely uncontested and had little influence on the nation and the international scene due to fear of further repression by the government, those involved in the IBERO Protest were able to utilize global interconnectivity to have a much larger impact. The #Yosoy132 movement not only demanded a proper report of what truly happened at the protest, but also helped liberalize Mexican media by using its access to social media to convey the truth behind the events and gain international support. The tragedy of the 43 missing students from the Ayotzinapa Escuela Normal has received unprecedented global solidarity, particularly through social media, and has influenced various nations of the world to challenge the Mexican government’s dealings with its students, and to demand that it produce truthful answers about the case of the missing students. This evolution of change and power emanating from the people of Mexico shows their resilience to the unthinkable actions that the Mexican government has taken against them time and time again. Their determination to work toward a truly democratic system in Mexico in which mainstream media gives the people stories that are factual and that promote critical thinking is beginning to take hold. The government’s manipulative control over media is not the only challenge that the Mexican people are facing. Thiers is a struggle of the dynamics of power. With a chasm so wide between those with socioeconomic power and those without, the people of Mexico have a long and difficult journey ahead of them. The well-informed citizenry that the students represent will need to continue to encourage citizen-initiated change in Mexico until that chasm is filled. Featured Image: Gatifoto, “los_que_matan,” Retrieved from Flickr Creative Commons, https://www.flickr.com/photos/74871367@N02/15453167049/in/photolist-pxxwbD-bFmgiB-qigNgE-pQ37SB-qfGmcE-oTbQMR-pap3oX-bFn2Rc-qkurKC-qkutGU-q48VxK-q47v3r-qigQaj-q3ZqHs-poyxWE-qigQAj-poN9kc-q3ZVJA-poN8jK-qknJiR-qkuqum-q48VYV-q47vkF-q47uvz-qkxPYT-chZCdW-chZHG5-chZBGm-46uZse-gZWuUr-2vVkpu-7XM1G2-dgiwSp-bRBzc-pamhcL-pPLFCk-poyyom-q48XRH-poN9Ui-q3Zr61-qkxP2x-q47sTg-qkurBG-q3ZZ1f-q3ZX8s-qigQWj-pxxs3C-peQXXo-chZDuL-qjwtPZ. Celeste González de Bustamante, 1968 Oylmpic Dreams and Tlatelolco Nightmares: Imagining and Imaging Modernity of Television, (2010): 2. Louise Walker, Waking from the Dream: Mexico’s Middle Class after 1968, (Stanford UP, 2013): 11. Ibid; Celeste González de Bustamante, 1968 Oylmpic Dreams and Tlatelolco Nightmares: Imagining and Imaging Modernity of Television, (2010): 11. Celeste González de Bustamante, 1968 Oylmpic Dreams and Tlatelolco Nightmares: Imagining and Imaging Modernity of Television, (2010): 11. Tanalis Padilla, Las normales rurales: historia y proyecto de nación (2009): 85.